Unanimous support for property tax reform. Where did it happen? Yes, it can happen! Lawmakers from both parties can agree with each other and create real property tax protections. A bill to prevent property tax bills from automatically increasing has been UNANIMOUSLY approved by Nebraska’s legislature. Property taxpayers in both Iowa and Nebraska have seen significant valuation increases in recent years. Local governments have been able to raise property taxes almost automatically, even if property tax rates stayed the same or were reduced less than the increase in values. Nebraska’s reform would end that practice. Now, as their valuations increase, rates must fall by the same percentage. 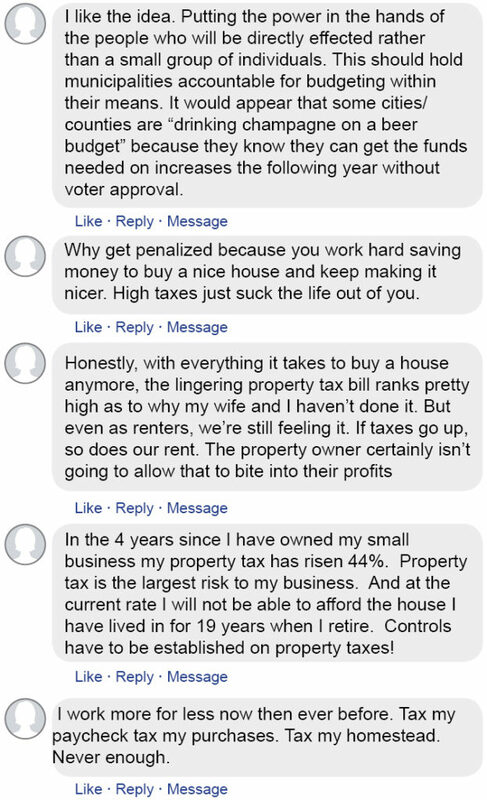 If local boards in Nebraska want to tap into any property tax increase resulting from higher valuations, they have to hold a special hearing and a public vote to raise the rates back up. A recent Des Moines Register/Mediacom Iowa Poll shows most Iowans think property taxes are too high; an opinion shared by most demographic groups, as well as Democrats, Independents, and Republicans. This confirms a statewide public opinion survey ITR conducted in January. Legislators in both chambers and the Governor have indicated property tax reform is a priority this year. If Nebraska can do it, so can Iowa! If you were to fill out a tournament bracket based on each state’s taxes, few people would pick the State of Iowa to advance past the first round. 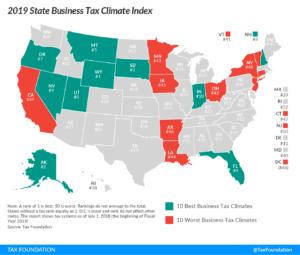 According to the Tax Foundation, Iowa has the sixth worst state business tax climate and the ninth highest individual income tax rate. High tax rates deter economic growth and productivity. 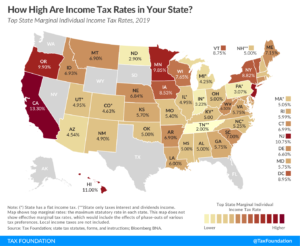 High tax rates also provide a competitive disadvantage as states race to attract and retain residents and businesses. Individuals, entrepreneurs, and businesses will vote with their feet by moving to states with the best regulatory and tax climates. The Tax Foundation article cites the National Movers Study comparing the number of inbound and outbound moves for each state. Again, Iowa’s ranking is near the bottom at 42 out of 50. 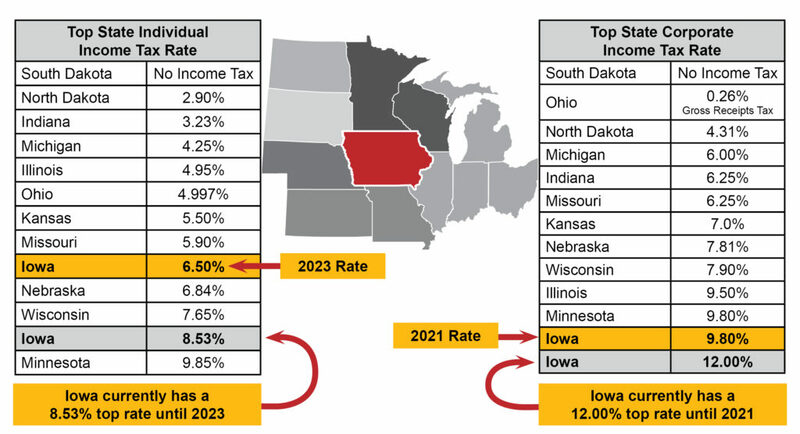 While last year’s tax reform is a good start, Iowa’s tax rates remain some of the highest in the nation. Iowans need to feel confident they can succeed with hard work and ingenuity. Creating a better tax climate will impact Iowa for generations. If lawmakers decide that more money is needed from the incomes of families and businesses across the state, it is a decision that should not be taken lightly. Requiring a two-thirds majority vote by the legislature to raise income taxes is a commonsense protection that puts taxpayers before the noisy special interests that are constantly asking for a bigger piece of their paychecks. These bills would completely eliminate the inheritance tax. The inheritance tax in Iowa can require up to a 15% tax on asset transfer if the recipient of a given asset is not a lineal relation of the benefactor. If a deceased person does not have children or chooses to leave their assets to a non-lineal relation, this can create a scenario where the beneficiary does not have the liquid assets to pay the inheritance tax. This could potentially result in the sale of a small business or family farm. This is not the outcome tax policy should strive to achieve. Taxpayer dollars should not be used for lobbying, and the Iowa Legislature should promptly prohibit lobbying and ballot-issue activity by any organization that receives taxpayer dollars. While it is argued that lobbying is a form of free speech protected by the First Amendment of the Constitution, those rights are for citizens and not government itself. This bill helps ensure occupational licensing isn’t excessive or overly burdensome. Removing those barriers can lead to job creation, more entrepreneurial opportunities, reduced prices, and increased incomes.